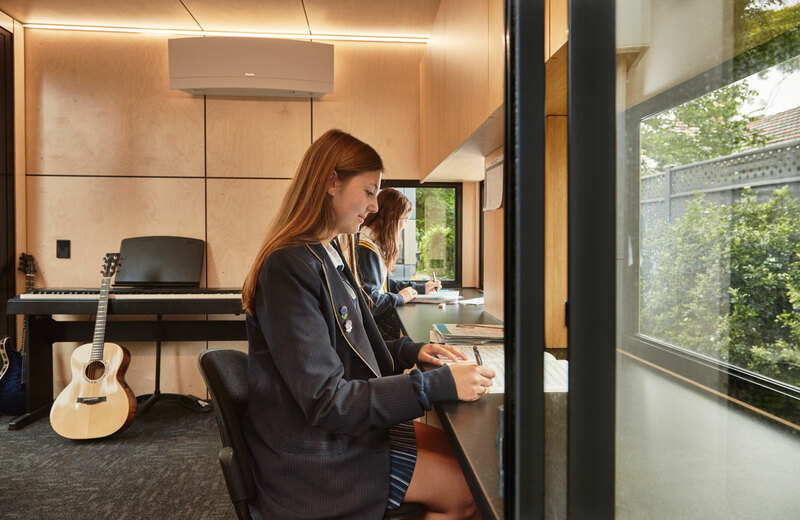 As with many schools, Camberwell Girls’ Grammar in Melbourne’s inner east had a space issue to address. 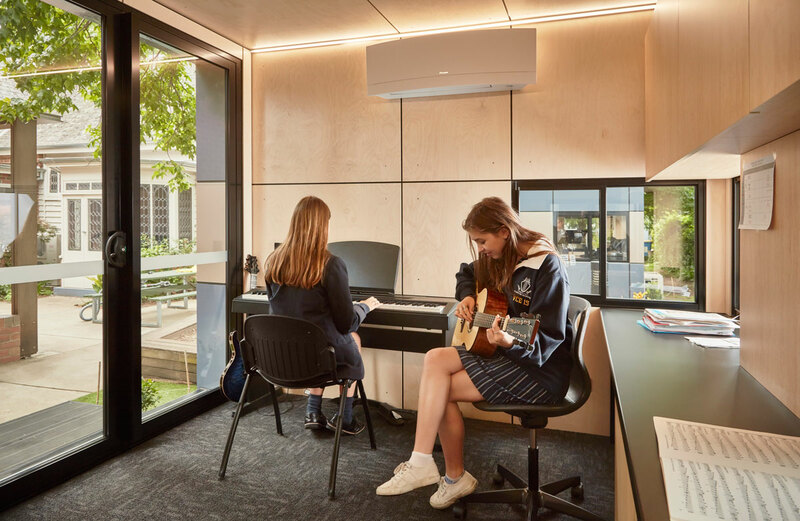 The School Business Manager was charged with the task of delivering a light-filled, modern learning environment that blended seamlessly with the existing heritage buildings, a space that made financial sense while still offering great flexibility for future use and developments. Add to this the challenge of being operational in the shortest time possible. Stephen spoke with us to explain why he went with Harwyn. Q. Set the scene – what were you looking for? A. One of the things as a school that we’ve found difficult to coordinate is teaching spaces, when we are in a landlocked campus. It ususally means we either need to go up, or below the ground. We had actively looked for a couple of months because we had an expansion of our music program so we had all these extra kids but had nowhere to teach them. Finding a specialist teaching space of high spec that could be acoustically treated, with a careful selection of finishes was critical. Q. How did the search unfold? 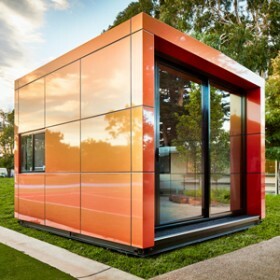 There are plenty of prefab options around, as well as traditional building methods. 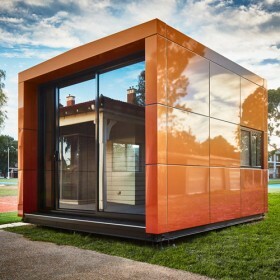 A. We’d looked at what were essentially converted shipping containers. Fairly dull, fairly lifeless, touted as the home office, but nothing more really than a glorified box that had been clad in some other external material. Had we gone the traditional route of building, we could have ended up with a similar result in the sense of a custom built teaching space. One of the greater difficulties would have been to try and design it in keeping with the existing architecture. And the building may have wanted to be connected to the existing building. So the moment you start to alter the existing architecture of a building, particularly one that is heritage listed, it really start to blow that time frame out. Q. So did time play a factor in choosing Harwyn over a traditional build? A. To go through the entire planning and development stage of a traditional build was going to take a lot longer than going to Harwyn for what was, in our minds, a pretty ready-made solution to simply put in place. It meant we could act a lot quicker than what we would have otherwise. Q. What were the design features that appealed to you? A. The space feel purpose built for instrumental music. 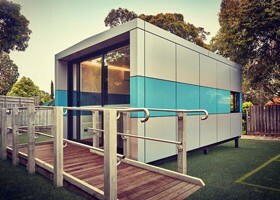 It’s clear that the design of the unit has been well though out and in our case, with teaching practice in mind. Because of that, the space feels ample and comfortable. Another thing that was important to us too was that the design was highly transparent, lots of glass, able to see in, able to see out. So in terms of child safety, all those other requirement that we need to comply with, that fit the bill too. We talked earlier about some of the other options and shipping containers that we looked at. They didn’t have the level of light, the high level of visibility from all viewing angles. Because you have that light element in the room, it automatically makes the space feel very spacious, roomy and light. Q. How do they compare to your existing classrooms? A. 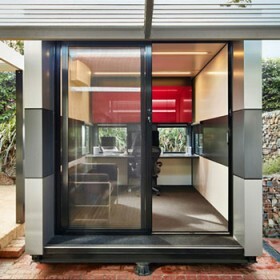 The pods have a very high rate of use, almost in constant use throughout the day. We have sessional music teachers right through the week and they are literally booked back-to-back for kids that come in for instrumental lessons. 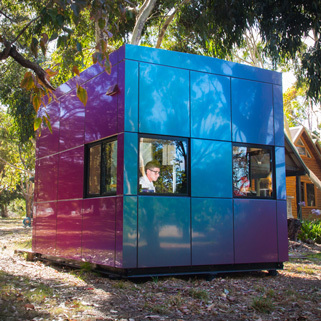 They have almost ditched the traditional classrooms in the old Mountfield house – it’s all about being in the pods. Q. How did you avoid it being viewed as a temporary fix? A. They don’t feel like a band-aid solution at all. 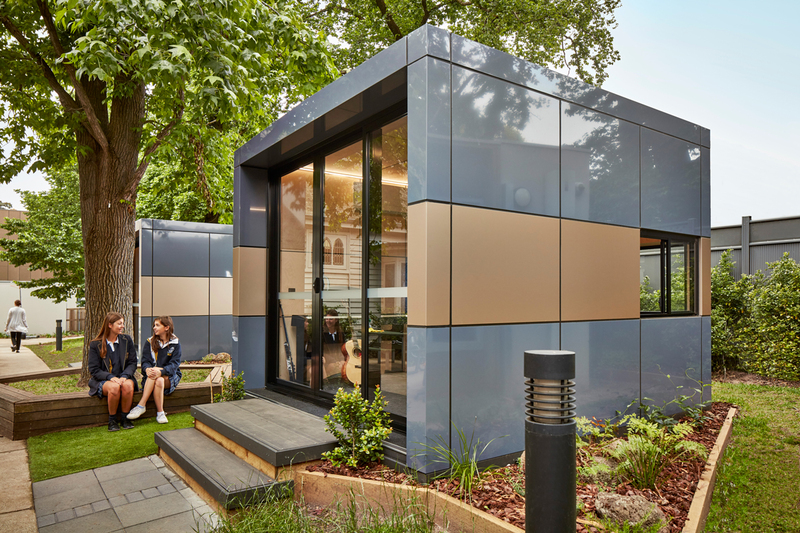 The pods have been integrated sensitively with the area and landscaped sensitively around them so that it doesn’t feel like the pods have just been plonked on the property. It’s actually been thought about and integrated into the space. Q. A key feature of Harwyns are that while they are a permanent space, they can be easily relocated. Did this appeal to you? Pods are currently located, we can very easily relocate them to another area of the school. It is attractive. 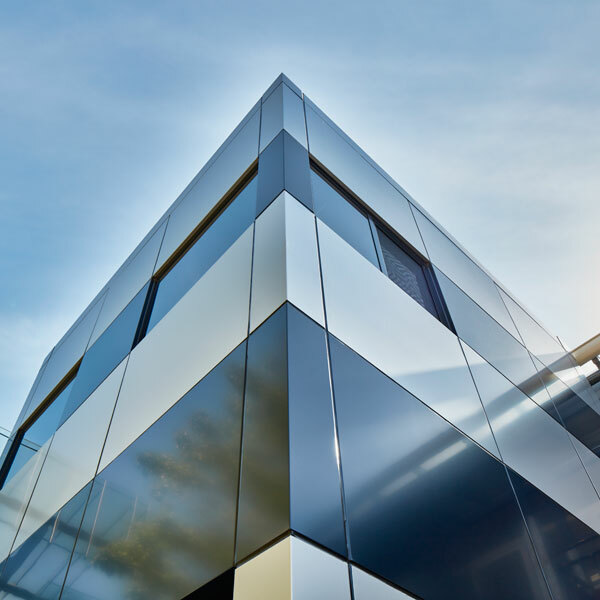 The flexibility that it offers over a traditional build, which you would have to knock down – you’d not only lose the entire investment in that build, but it would also cost you to knock it down and have it removed. Q. Does the life expectancy and maintenance required make financial sense? A. 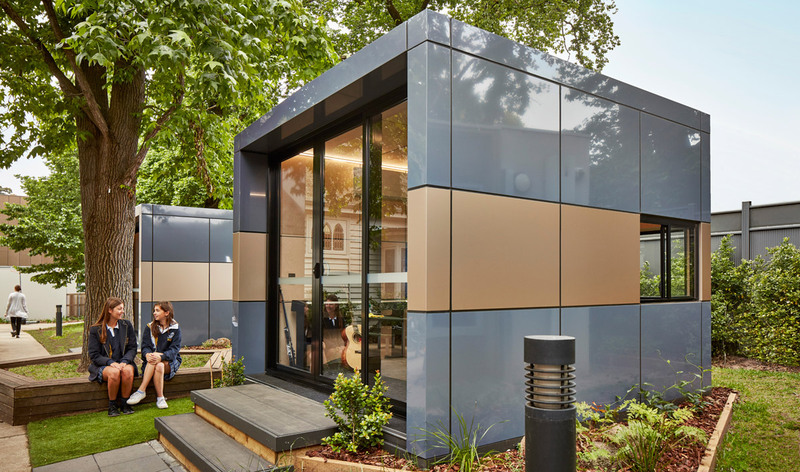 The fact that the Harwyn Pod is completely clad externally in Alucobond gives us great comfort and confidence that the Pod will remain looking great and maintenance-free for years and decades to come. 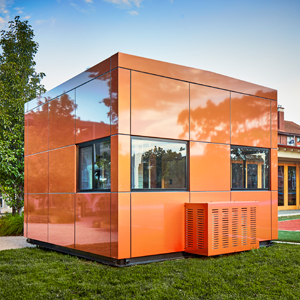 My reference point for that is that we have other buildings on campus that are also clad in the same material and they are over ten years old but they do not look old or worn at all. I think the design of the Harwyn Pod is somewhat timeless and believe that it will still look sharp ten years from now. And the colours that we have chosen work very well in keeping with the feel of the school. Q. How did you find the process of dealing with Harwyn? A. From start to finish, we have been absolutely wrapped with the final product. They have been absolutely reliable; great communication all the way through, simple and transparent process to follow, the information we were given up front contained all the necessary detail about the product, the insulation, the footprint, the way that it was designed and the colour selection. I think really, the entire process was much, much easier than what you would encounter with a traditional build. I don’t like the word because it is a bit of a cliché, but it has actually been seamless. I’d happily recommend other schools that are looking for this kind of thing to go down this path.